Loudoun County is nestled at the top of Virginia, surrounded by the Potomac River to the northwest and is surrounded by showcasing the Loudoun Valley which lies between the Catoctin and Bull Run Mountains to the east and also the Blue Ridge Mountains to the west. The area is often hilly with some great vineyards like Bluemont making full use of these views. 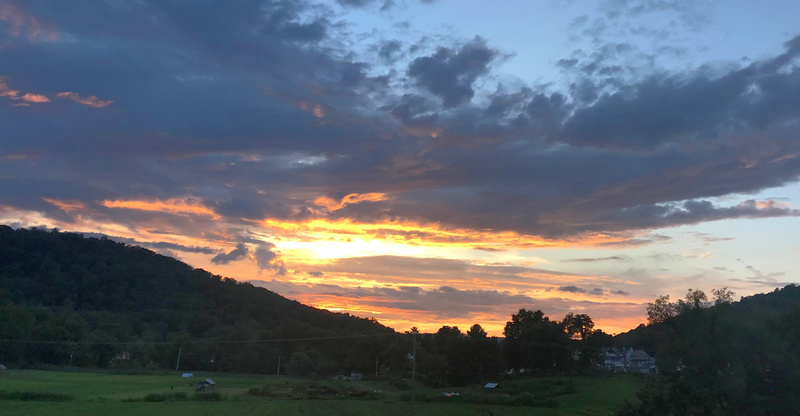 In addition, Western Loudoun also has a rich farming heritage leaving much of the land undeveloped and giving visitors a chance to see gorgeous country scenes, and plenty of land to explore. Despite being rural and quiet, Loudoun County is very accessible thanks to the Dulles International Airport, and routes in and out of the county like the Dulles Greenway and historic Route 15. Loudoun County’s wineries are surrounded by history, thanks to the county’s strategic location during the Civil War. For an outdoor adventure you can visit Ball’s Bluff Battlefield and National Cemetery. After that, you can visit one of our man historic homes including Oatlands Historic House and Gardens and Dodona Manor which was home to George C. Marshall of the Marshall plan. 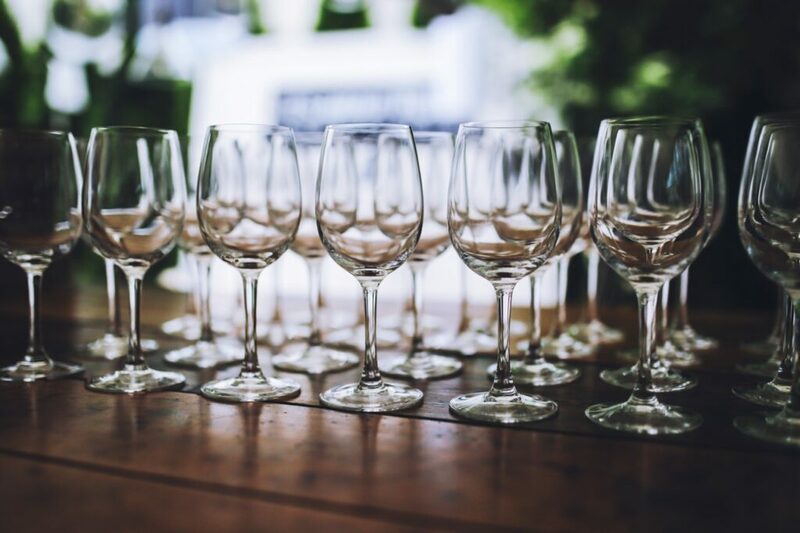 Though you might be visiting some of the best wineries in Loudoun County such as Fabbioli Cellars, Bluemont Vineyard, or Crushed Cellars you might also be interested in the many craft breweries we have. Make sure to take a look at Lost Rhino Brewery, Dragon Hops, and Crooked Run Brewing for some great atmosphere. Alcohol not your style? Maybe some tea will suit your fancy. There is a lot of passion for farming in Loudoun and not just about the wine. Many restaurants are interested in sourcing local and sustainable ingredients for your dinner table. For instance, some of our favorite farm to table restaurants are The Restaurant at Potowmack Farm, Market Table Bistro, and Grandale Restaurant. Most importantly, we had to mention the hosts of our Bed & Breakfasts in Loudoun County that will be happy to help you plan your D.C. wine country journey by giving you the best, local advice while enjoying your stay. The experience can be anything from a beautiful historic home to your own private cottage in the beautiful rural landscape. There are bed & breakfasts with pools, with wedding & event sites, and of course cozy rooms with breakfast! Check out our Bed & Breakfast members here to learn more about staying in Loudoun County in style! April 28—1 to 5 p.m. 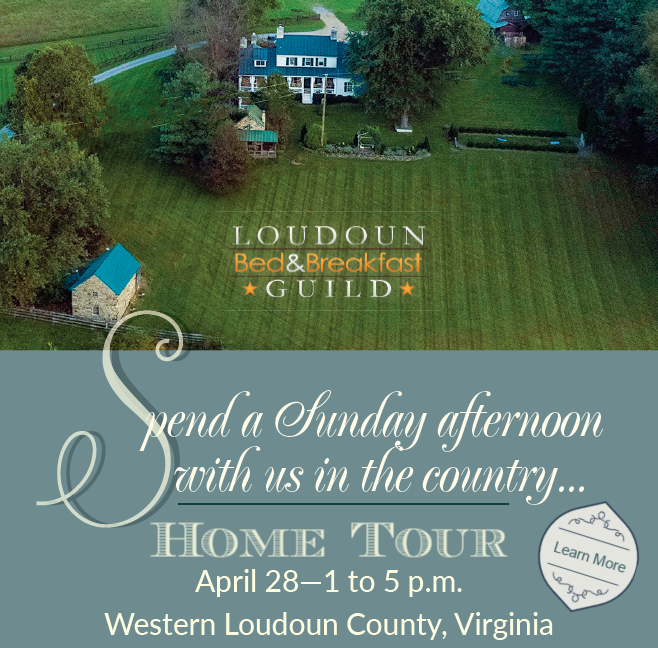 The Loudoun Bed & Breakfast Guild invites you to tour a sampling of our Inns, meet our innkeepers, enjoy our partner’s wine and beer, taste a sample of our local caterers’ delights and browse the wares of local artisans while serenaded by local musicians.